Best Pittsburgh Cooking Schools ~ Find the Top Chef & Culinary Arts Schools in Pitt. 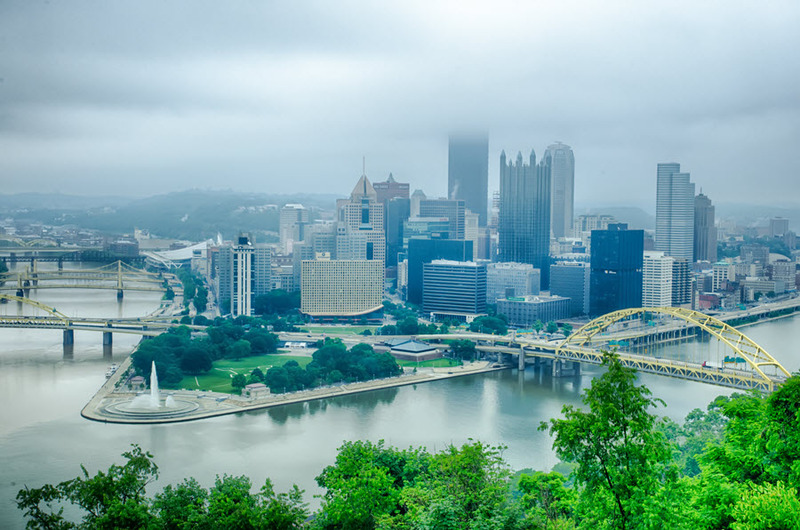 Pittsburgh has long been known for its strong ties to steel and for being a thriving industrial city. But with the steel industry in the city declining, there have been many efforts to make over former industrial sites and promote new business sectors. The restaurant industry is primed to grow in the city, which is the second largest in the state. Take advantage of the blossoming opportunities by training to become a chef now in one of the city’s many culinary schools. Culinary programs are focus on career readiness, and a good school will offer plenty of opportunities for practical training and job placement opportunities. Look for schools that offer support during your studies and beyond. In school, training will revolve around the program kitchen, which should be fully stocked with contemporary equipment. Other in-school training opportunities can include a student-run restaurant or café, public dinner nights, or partnerships in the community for apprenticeships or internships. Make sure that courses are taught by chefs who can understand relevant training through their experience. Finally, look for services for job counseling or placement in the short term or the long term. Moving forward with your studies should be easy. The basics for most culinary school admissions are completion of a high-school diploma or GED. More stringent standards may ask that you have had work experience or other training, or you may have to take testing showing that you have some basic culinary know-how. You can complete your studies in such a short time, you can almost set an egg timer by them. Well, maybe not quite. But it may seem like it, as quickly as you can earn your degree. Some courses can be finished in a matter of weeks, resulting in a certificate or diploma. Most degree programs lead to an associate’s and can be finished in about two years or less – about half the time of a traditional degree. You can work your studies into your busy schedule through options such as night classes, summer classes and online classes. Cooking instruction is available online through the use of video in some cases. But most online culinary programs are offered in conjunction with work you’ve already done in the kitchen. Management tracks are more common for online programming, and many more study options are available. Recent graduates won’t be among the cream of the crop in the culinary world right away – it will take some hard work in the kitchen to make it to the top. So salary expectations will vary as you build up your experience and your marketability. Of course, experience will be one of the primary factors in determining salary. The more you have, the more you’re likely to earn. Entry-level positions such as line cook or chef’s assistant will make the least, and the top spots such as head chef will make the most. You can increase your earnings potential by finding position at the top establishments, such as five-star restaurants and hotels. Resorts, spas and home-chef services can also offer better salaries than casual-dining chains. Networking will improve your job chances no matter the stage of your career. Knowing the right people can help you to get the inside scoop on jobs and gain access to conferences and other industry events. Try joining professional groups such as the Pennsylvania Restaurant & Lodging Association or attending food festivals to network as much as possible. You’ll also start building your reputation through entering cooking competitions and winning the notice or potential employers.